- special wheelchairs which can overcome most of the stairs within the Old town. The transporter matches the size of all major standard wheelchair dimensions. Disabled persons have access to all public and governmental institutions within city walls. Our wheelchair accessible vehicles can accommodate your specific needs, while keeping your budget in mind. If you would like to book a transfer send us an e-mail to info@absolute-croatia.com and our travel department will contact you back. All drivers are English-speaking professionals and well mannered. Since the museums within the city walls are housed in historical buildings, they do not facilitate access for the disabled. Only the Cultural History Museum has a special wheelchair that enables access to all parts of the museum. The Dubrovnik aquarium is also easy to access. The renovated cable car is also suitable for disabled. The upper station, located at 405 metres above sea level, has three terraces equipped with binocular telescopes, a panoramic restaurant, a souvenir shop and restrooms (disabled access). It is a bit of a challenge to get to the lower station (it's uphill and the road is steep) but bus nr. 8 will easily get you there. 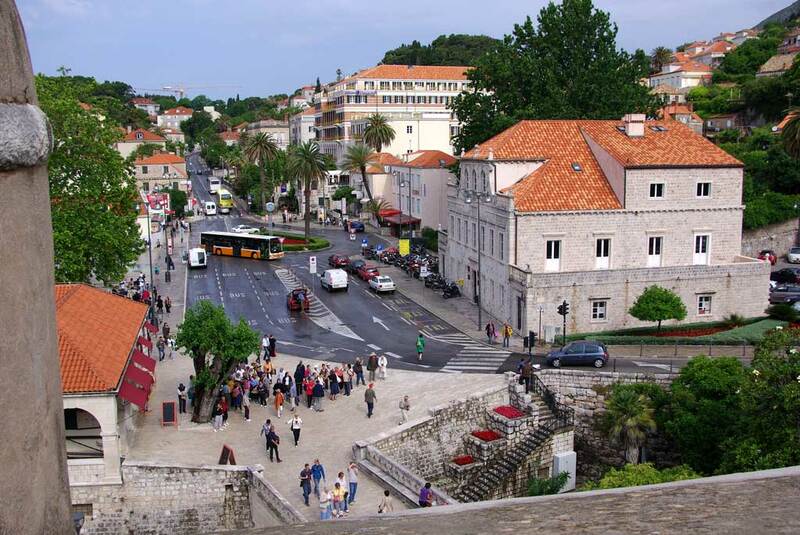 Disabled access is limited within the old town with many obstacles and cobbled streets, so assistance will be necessary, but much of the Old town is flat though so you can easily wheel along the main street, Stradun, to Ploče gate and around the harbor. Ulica od Puca is also accessible as well as some of its side streets. Regarding public transport, Dubrovnik has bought many new buses during the last couple of years which provide people with disabilities a comfortable option of getting around. Most of the new buses have a ramp at the middle door which can be pulled out easily or are low-floor vehicles, which means that they can be lowered to pavement level. Vans with automatic lifts that allow easy entry/exit to the vehicle are available for daily rents and tranfers. One this link you will find the options of airport transfers with these kind of vans. You can contact us for further information and transfer options. The hotels around the Old town are a good choice to stay at. For example, the Hilton hotel, hotel Excelsior and Villa Argentina have elevators and rooms with ease of access and are just minutes away from the gates. They are pricey though so you might also consider hotel Lapad, hotel Palace or any of the Valamar group such as Valamar Club, Lacroma and President hotel which are all in a nice area and close to the bus and taxi stations. Numerous hotels in all classes have adapted rooms for wheelchair users so finding and booking one shouldn't be a problem. Finding private accommodation with facilities for disabled persons might be a big challenge as the residential areas of Dubrovnik aren't flat + there aren't many apartments on the ground floor either. You could consider staying outside of Dubrovnik in areas such as Cavtat which is almost completely accessible by wheelchair and is a lovely small township to spend your holiday at. Contact us by e-mail: info@absolute-croatia.com should you need any further information or have specific inquiries.